Request a free presentation on how we will market and sell your home. Remember, all real estate agents are not alike. A “Listing Presentation” is an industry term for the formal presentation that a real estate agent makes to prospective home sellers, trying to earn their trust and business. Don’t list your home without one! We would love the opportunity to make such a presentation to you. We’ll visit your New Orleans and Metairie area home, and together we will walk through it, considering the positives and negatives (if any!). You will then see exactly how we would propose to sell your home, for as much as the market will bear, and within your time frame. We will tell you where we will advertise your home, both in print and on the web. With the dramatic growth in homebuyer usage of the web, you must have a real estate agent that can extensively market your home online! And you’ll find out what your New Orleans and Metairie area home is worth, because part of our presentation will include a CMA (Comparative Market Analysis) of your home. 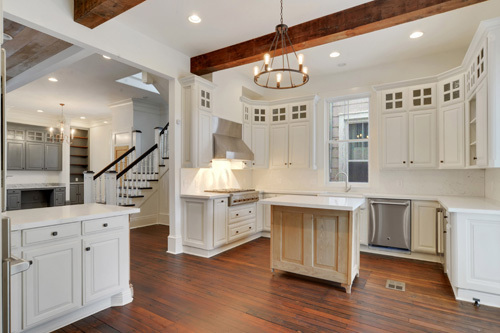 We’ll compare your home to others like it in New Orleans and Metairie area that have recently sold, and also to others that are currently for sale. This is a very important way of determining the fair market value of your home. Yes, you can request a free in-home presentation of how we would market your property in the New Orleans and Metairie area! We do these presentations for people all the time. It’s our job! There’s no obligation, and we’ll get back to you quickly.